Many accomplished and aspiring pianists would love to play a concert grand piano such as a Shigeru Kawai, yet the practicalities of owning and maintaining such a large and complex instrument may stand in their way. Digital pianos are far more conveniently sized, are resilient under varying conditions, and never go out of tune. Yet for all their advantages, these instruments could never capture the feel and sound of a real grand piano... could they? The Kawai CN range comes close to answering that question. Every facet of the experience of playing a mechanical piano has been considered and addressed in the design of what may be the most engaging digital pianos ever built. The ‘Responsive Hammer III’ keyboard action with graded, weighted keys and ‘let-off simulation’ make it feel like your playing a grand, while the ‘Progressive Harmonic Imaging’ sampling technology and quality soundboard speaker combine to produce a sound few other instruments could get close to. Close your eyes, and you could be at the Albert Hall or any of the world’s leading venues. 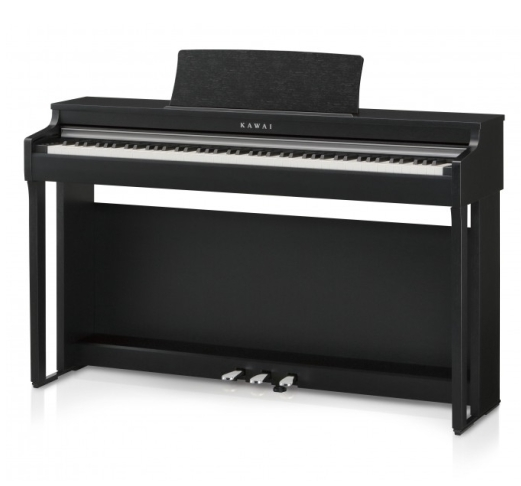 At the same time, the Kawai CN27 offers practical features which are found on very few of the leading grands. As this is an electronic piano, simply plugging in a pair of headphones means you can practice to your heart’s content without disturbing others in the household, or neighbourhood. The interface features built in lessons to help you develop as a player, and also song recording and bluetooth connectivity. All this is available at a price point which compares favourably to many acoustic pianos. To find a Kawai CN27 for sale, contact Richard Lawson Pianos today. 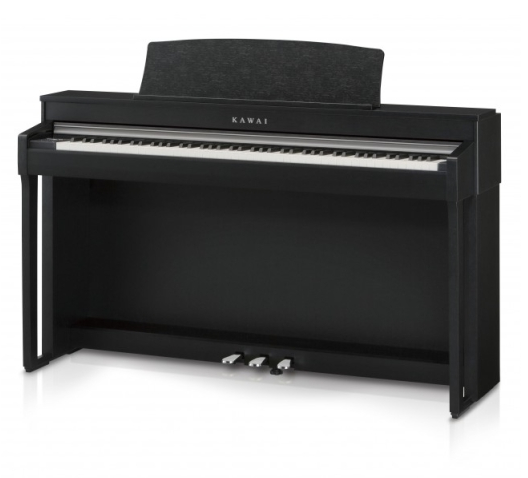 For the same exceptional playing experience with even greater functionality, the Kawai CN37 is hard to beat. This model includes most of the same features, including the ‘Triple-Sensor’ key detection system which detects performance nuances which would be entirely lost on almost any other digital instrument, and the ‘Spatial Headphone Sound’ system which makes you head sound like a concert hall! However, this model also adds a range of other features, including: an assortment of instrumental voices with dual and split modes; a four-way speaker system which projects different frequencies from different surfaces of the instrument; a studio quality digital effects engine which can transform the tone of the piano and add reverb to replicate the acoustics of various locations, including a cathedral; built in metronome; and many more. To find a Kawai CN37 for sale, or for more information on the Kawai digital piano range, please contact Richard Lawson Pianos of Rickmansworth today.